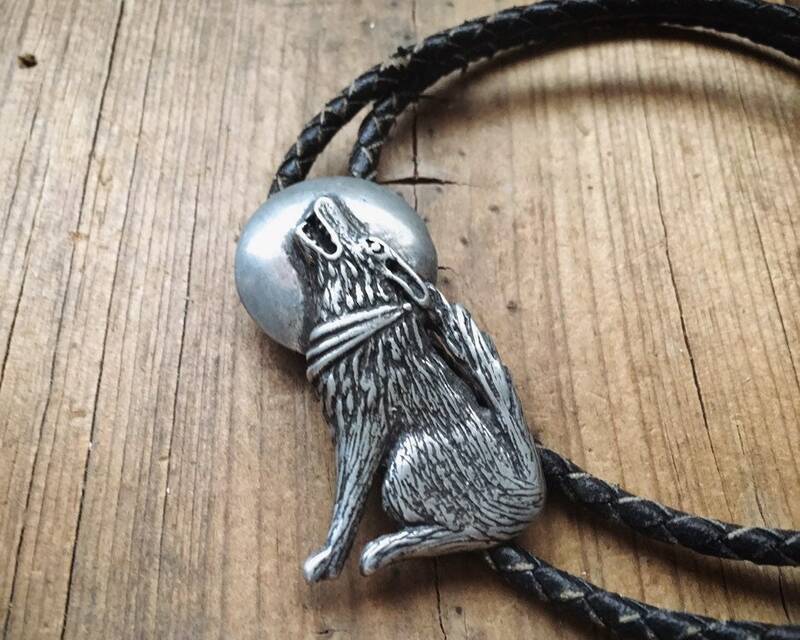 This great-looking bolo tie features the iconic howling wolf or coyote with scarf, and behind it the full moon. 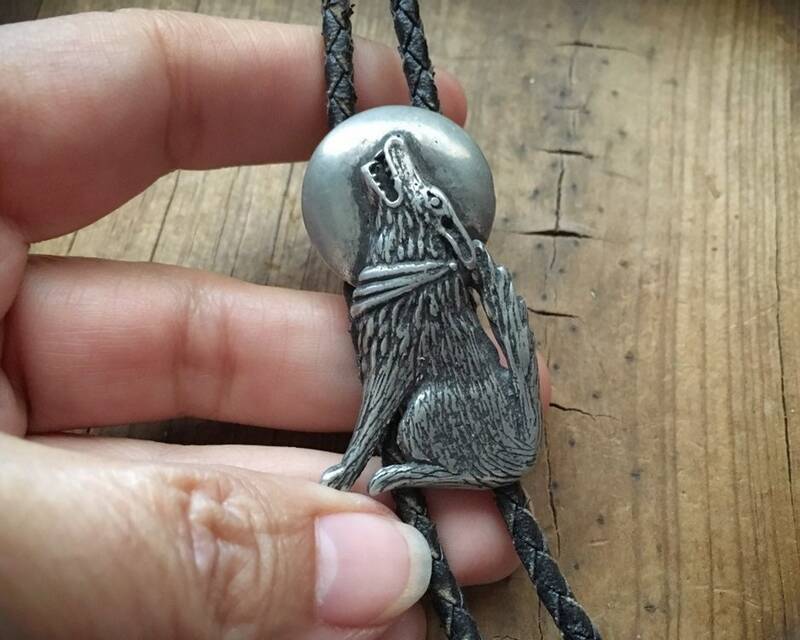 It is marked pewter on the back and has an unreadable maker's mark. 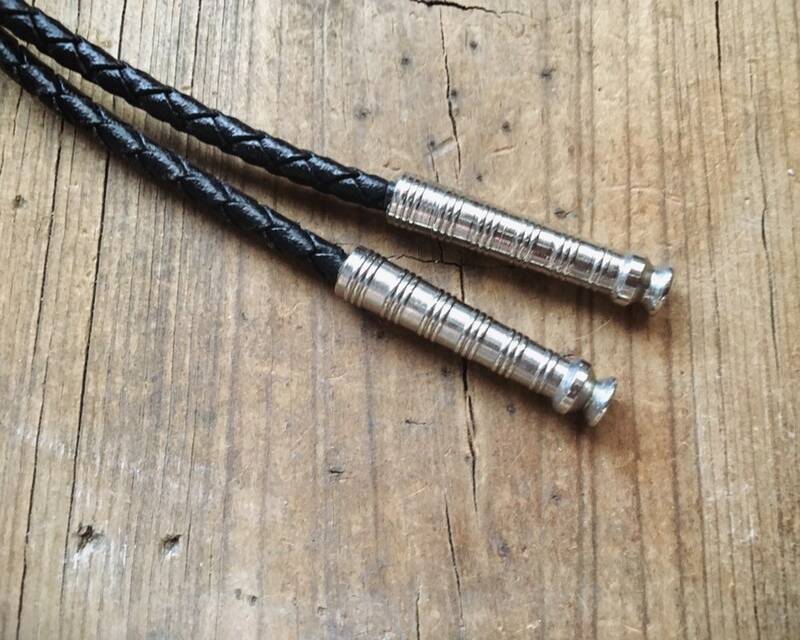 The tips are your run-of-the-mill tips that are stainless steel or some other inexpensive metal. 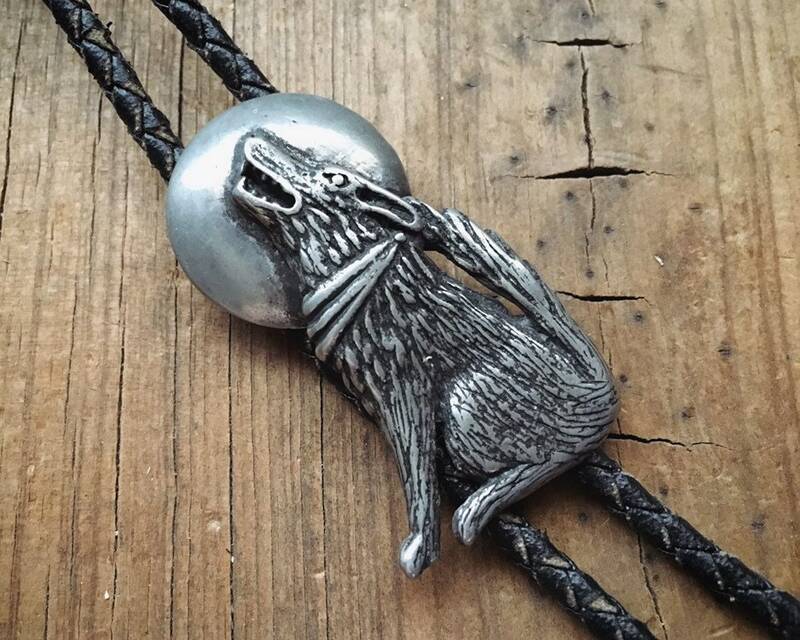 Overall, a great kitschy bolo, as that scarf-wearing coyote was the epitome of "Santa Fe style" in the 1980s. 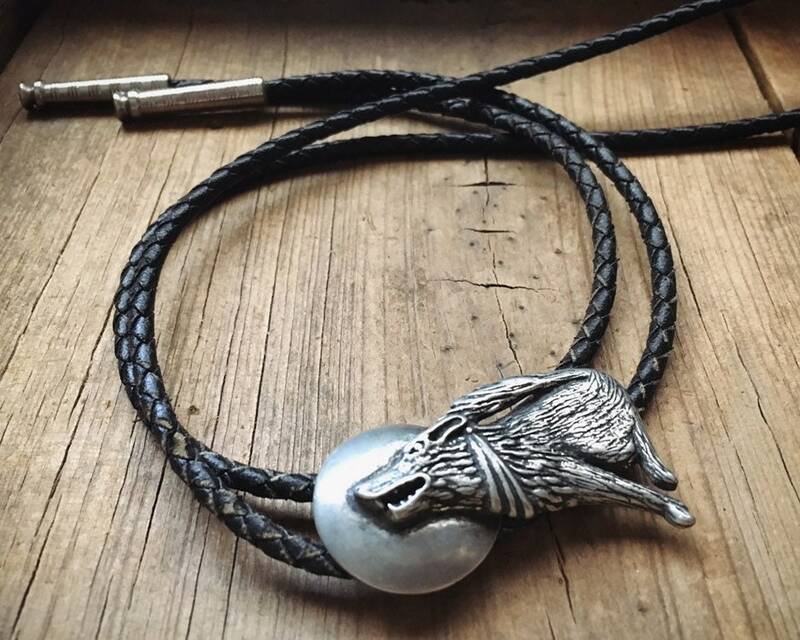 Perfect gift for the wolf lover who also happens to march to his or her own drum when it comes to fashion. The bolo slider (the main part) measures just under 1-1/8" across the moon by 1-7/8" long. Some small scratches on the metal surface. 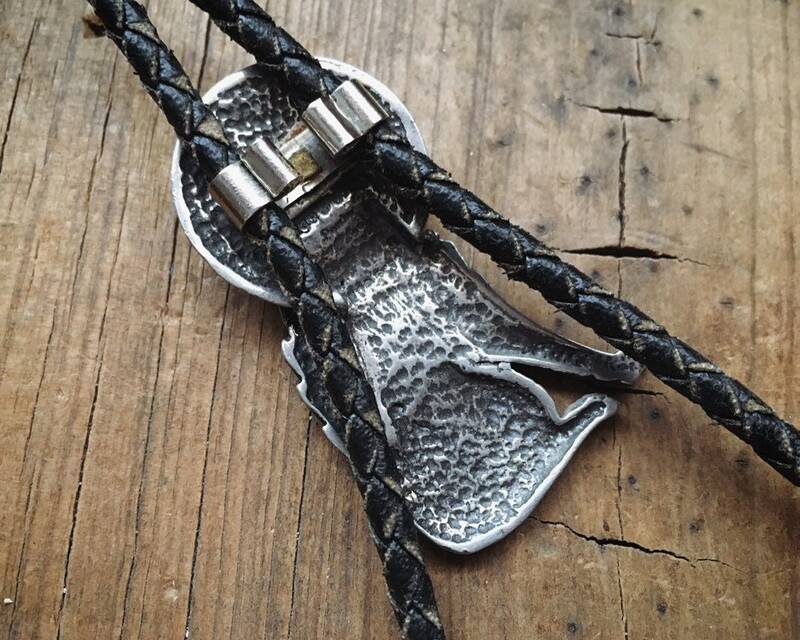 The leather lariat is not too stiff yet not too worn. In good condition. 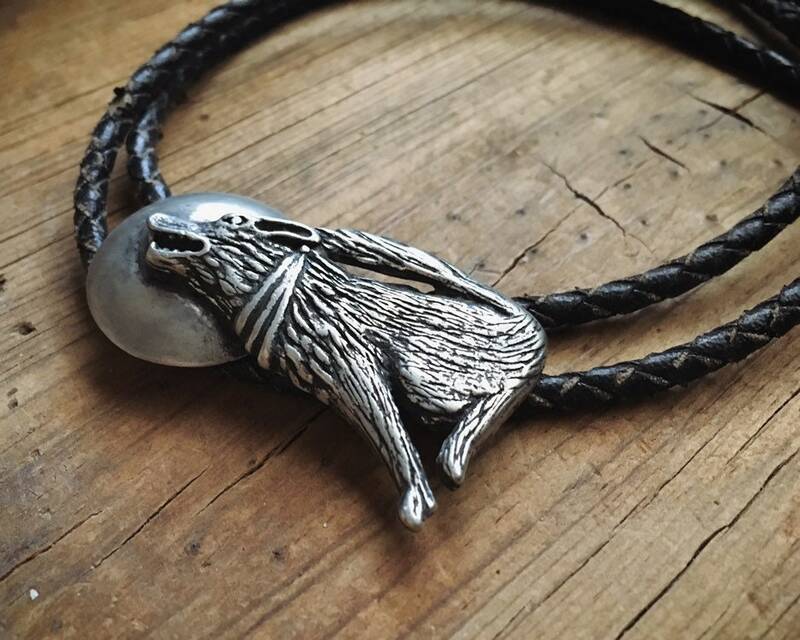 Fabulous cowboy kitsch fashion for a howlin' good time.